IT ALL STARTS WITH ONE. Ancient Egypt, a land of majesty and intrigue, is disappearing in a ruthless fight for power. Unveil dark secrets and forgotten myths as you go back to the one founding moment: The Origins of the Assassin’s Brotherhood. I dislike so many parts of the game. Giant chunks of it are littered with tired mechanics and missions filled with tedium. I even experienced the patented Assassin’s Creed PC version at launch problems. It has a real money store where you can buy in-game credits to speed up your progress and some of the progression makes me feel like it was engineered to get me to buy these credits. ACO has almost everything going against it, and somehow managed to win me over. 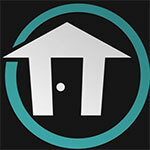 Just moving along in the game world is rewarding on its own. Naturally, once you've beaten the main quests you can continue exploring the world, and the biggest compliment I can give Origins is that I'd much rather be playing it than writing about it. It's a got a dazzling and beautiful setting, lots of enjoyable systems for mischief and mayhem, and has just the right amount of diversions and distractions to keep you busy without ever feeling like busywork. 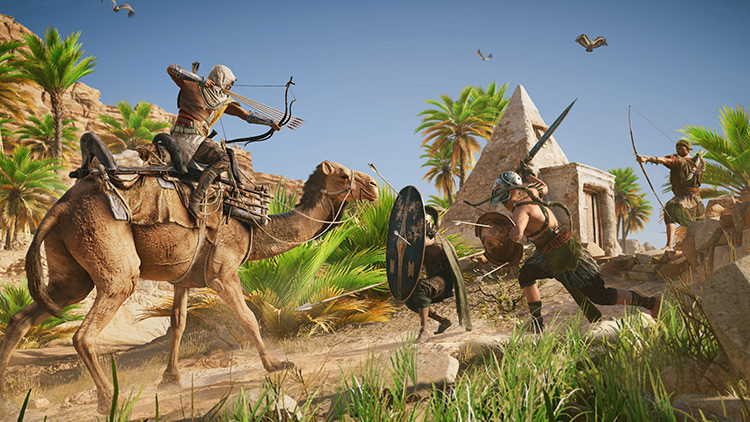 Assassin's Creed: Origins takes all the best elements of the action-RPG genre, and gives you a complete freedom to use them all in the gorgeous setting of the Ancient Egypt. Assassin’s Creed Origins is a breathtaking sensorial odyssey. It is the MMO I have been waiting for without the MMO part and boy would my heart skip a beat if it were massively multiplayer online. Ubisoft has won a new superfan, I look forward to continuing playing and sharing discoveries of this game via my blog as well as keeping an eye on any future Ubisoft titles. Most of all though I would LOVE to see your photo’s in-game just let us know your name in Assassin’s Creed Origins below or your social media so we can check them out! A lot of this review is framed within the context of Assassin’s Creed as a whole and its shortcomings, in a lot of ways, it has to be. A series can’t go on for ten years, take a break, and then return with almost all of the same damn issues. 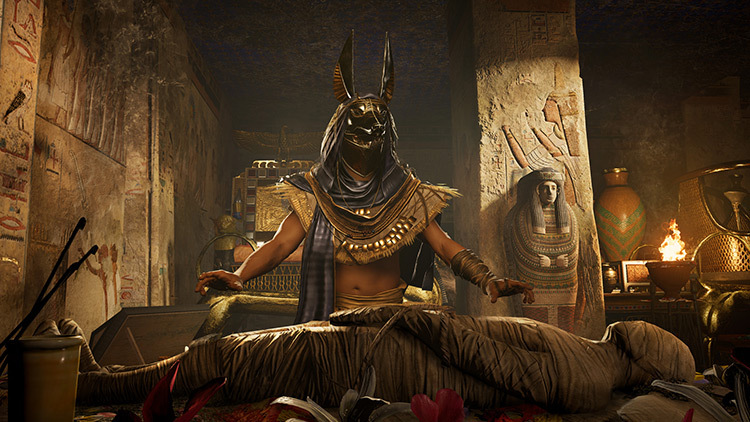 The extra year of development time paid off and ensured that Assassin’s Creed Origins likely wouldn’t underwhelm its audience by repeating its past sins. 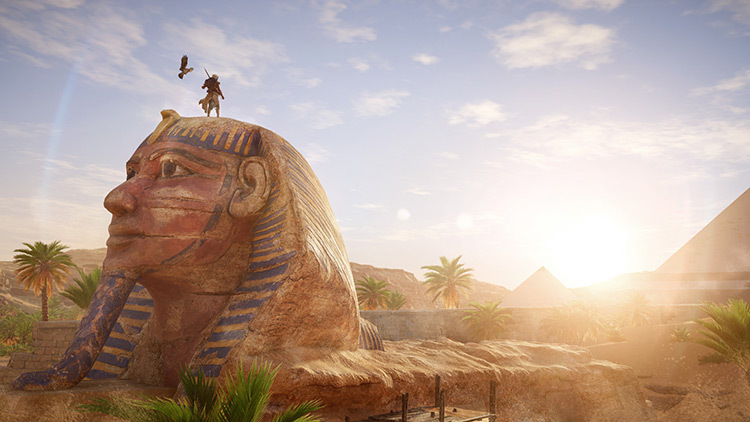 Oddly enough, if you accept that maybe this lovely ancient Egypt is worth admiring just a little longer, Assassin’s Creed: Origins eases into a sort of post-game retiree stage. There are a few puzzles baked into the map and a handful of collectibles to complete. There are rumors of four beasties that need killing, like the Spanish treasure galleons at the end of Assassin’s Creed: Black Flag. Assassin’s Creed: Origins offers a rich world and a compelling story at first, but it’s waylaid in part by the repetitive side quests and a weaker second half. It has secrets to find, but you’ll have to go looking for them — and you’ll have to do a lot of grinding along the way. 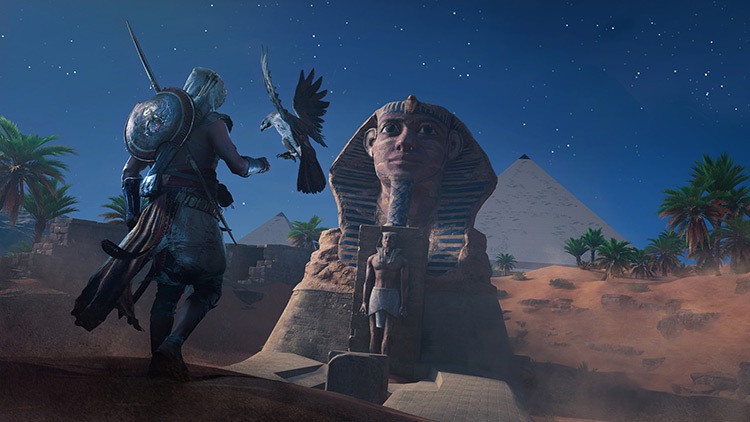 As beautiful as it is deadly, Origins’ Egyptian playground is finally everything you wanted the Creed to be. I could wax on about Assassin’s Creed Origins for a long time. For all its foibles it’s a staggering achievement, and most certainly the best the series has ever offered alongside Black Flag. Those who prefer the dense city networks of the original games may bounce off it a little, but for anyone even remotely interested in the prospect of The Witcher and Assassin’s Creed crossing paths, this comes highly recommended. Origins absolutely achieves Ubisoft’s goal of bringing back their flagship franchise with a bang. The game has very few flaws and issues, and all of these are dwarfed by the strides it has achieved on the gameplay front. 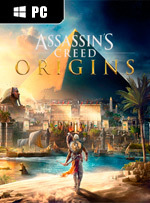 Origins marries the parts of the familiar AC formula that work with a host of improvements that result in an extremely entertaining and satisfying gaming experience, backed up with a great story to boot. Assassin’s Creed is back, and it’s better than ever. Oh, and you can pet cats! GOTY 2017. Assassin's Creed Origins is a triumph. A triumph for the individuals and studios involved in its production, and above all else a triumph for those with the courage to postpone the launch for a year and give the series a break. The result is not only the best Assassin's Creed ever made, but also one of the best games of the year. Bravo Assassin's Creed, and welcome back to the top. Assassin’s Creed Origins brings Ancient Egypt back to life with the best sandbox world Ubisoft has made to date. However, a half-baked combat system and poor RPG mechanics sour parts of the experience. Dank der unzähligen kleinen und großen Geschichten, glaubhaften Figuren, motivierenden Spielmechaniken und unglaublich gelungenen Spielwelt verbindet man am Ende seiner Reise jeden Landstrich Ägyptens mit einem bestimmten Erlebnis. Und wenn bei so einer gigantischen Welt so viele Details im Gedächtnis bleiben, dann ist das ein sehr, sehr gutes Zeichen. 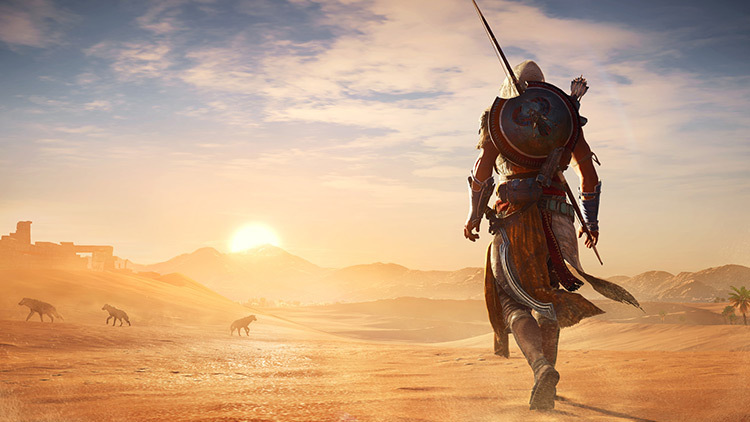 Assassin’s Creed Origins ist mehr als die Summe seiner Einzelteile, für die sich Ubisoft bei der Neuerfindung der ruhmreichen Serie bei zahlreichen Vorbildern, allen voran The Witcher 3, bedient hat. Auch, wenn das Kampfsystem mir die Freiheit gibt, wie ein Rambo gegen meine Feinde vorzugehen, macht mir die klassische Herangehensweise in Assassin's Creed Origins am meisten Spaß: Ich verstecke mich am liebsten im hohen Gras und schalte meine Feinde still und heimlich aus. Und das hat noch nie so viel Spaß gemacht, wie mit Bayek im alten Ägypten. Si Assassin's Creed Origins n'est pas parfait, il a parfaitement compris ce qu'il devait faire pour regagner le coeur des joueurs et des fans de la série. En plus de nous livrer la mystérieuse et fascinante Egypte antique sur un plateau d'argent, dans un monde ouvert absolument gigantesque, bourré d'activités et de secrets à découvrir, il réussit le pari de transformer son gameplay en y intégrant avec brio des éléments RPG et en revoyant intégralement, avec non moins de talent, son système de combat. A l'image de ceux d'Unity, les intérieurs d'Origins ont de la gueule et c'est un régal d'en écumer chaque recoin. Mais le plus impressionnant reste les décors qui sont tout simplement fa-bu-leux ! On aurait pu croire qu'Origins allait se résumer à de longues étendues désertiques et des cités rangées par le sable, mais le jeu offre l'occasion d'admirer des somptueuses zones verdoyantes avec des effets de lumière de dingue. 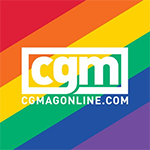 Assassin's Creed: Origins porta a termine un arduo compito: rilancia il brand, gettando le basi per un futuro davvero roseo. La storia d'origini raccontata tramite gli occhi di Bayek è avvincente, senza particolari colpi di scena ma impreziosita da un climax finale che farà saltare sulla sedia gli amanti della saga. Assassin's Creed Origins mantiene tante delle promesse fatte, sebbene non tutte e non fino in fondo. Ci troviamo di fronte a un episodio che sfiora l'eccellenza in svariati frangenti, che rivoluziona letteralmente alcuni dei meccanismi tradizionali della serie e ci consegna un solido punto di ripartenza, nell'ottica di un open world mai cosĂŹ ricco, denso e affascinante. Son sözlere geçecek olursak Assassin’s Creed: Origins, yeni bir şey deneyen ve zaman zaman denediğini başarıya ulaştıran bir yapım olarak karşımızda duruyor. Assassin’s Creed 4: Black Flag dışında diğer Assassin’s Creed oyunlarını pek fazla başarılı bulamayan benim için yeni oyun beklentilerimin üzerinde çıktı. Origins’in mutlaka sonra çıkacak Assassin’s Creed oyunlarının temelini atacağını söyleyebiliriz.